The mustard is recommended by nutritionists, It has many therapeutic and pharmaceutical qualities and relates to guinea and Sumerian texts BC. For more information see the Beneficial Properties. Σιναπόσπορος, vinegar, native starch, salt, sugar, Perfume. Without chemical dyes. The mustard is widely used as a supplement and taste enhancer in meat, especially sausages and salads. Also on skewer, in sandwich, toast and Hot dogs. Used ideally in the preparation of steaks mixture, during baking potatoes in the oven and as a marinade of meat of all kinds. Nutritionists insist that is the ideal substitute for ketchup and mayonnaise, when you want to lose weight, and its use as spice, at least a powder, refers to Indian and Sumerian texts since 3.000 B.C. Later reports of exquisite mustard exist in Greek, Roman texts and the Bible, where the seed of mustard emerges as a symbol of faith. Hippocrates on the other, using the seeds as a drug and used to make patchesmustard to cure colds. If you want to get rid of sore throat, mix 1 tablespoon mustard seeds, juice 1/2 lemon, 1 tablespoon salt, 1 tablespoon honey 1 1/4 cup of boiling water and after letting it "sit" for 15 minutes gargle. To relax your muscles, prepare a hot bath and add 2 tablespoons mustard powder, a few drops of your favorite essential oil (advisable to book rosemary) and a few pinches of salt. If you suffer a mild burn while cooking, let run cold water on the affected area and then put a little mustard on it. Mustard attenuates pain and normally prevents the formation of bubbles. 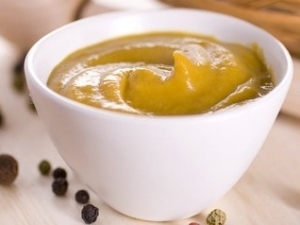 Mustard can be the answer to a damaged skin, as many claim, that you can make a good face mask. Simply, rub a little amount on your skin and let it sit for a few minutes. Rinse and you will see that you have obtained the coveted softness. However, contact your dermatologist, before attempting anything, as it may cause your allergic reactions. Oil mustard may well become your new conditioner. For even better results, massage into your hair and let the mustard all day, wash your hair before. After a day, a foot bath is magical solution to relax. Fill a basin with warm water and add a few tablespoons of mustard powder. Soak for about half an hour and just enjoy. 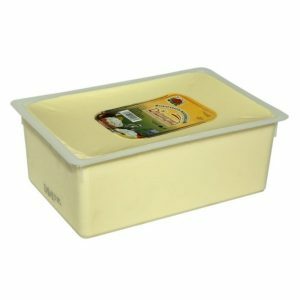 The mustard is a great and cheap way to clean your cluttered kitchen utensils fats, as it has the capacity to absorb the fat. "Spray" one or two teaspoons of mustard powder in a greasy pan and use a brush to spread across the surface. Rub gently and rinse. If you want to use a bottle again, but you do not want to smell like liquid containing ago, the mustard powder is a great gulf. Pour a little quantity in the bottle, add hot water and shake. Wash mustard very well and the smell will be past. Make a paste of mustard powder and water, rub in and rinse your dishes. Mustard absorbs all odors with simple, everyday movements. Because nobody wants to fill the garden, weeds, Plant seeds mustard. The seeds have the ability to prevent their development. However, consult an arborist before attempting.